Building projects are notorious for exceeding the intended budget, often also taking far longer than the anticipated timescales. As such, taking on a large-scale project can be a significant risk – especially if sources of funding have already been stretched. One way in which this risk can be significantly reduced is to have a Budget Cost Estimate produced on your behalf. This valuable exercise can be undertaken for all projects, providing clients with an early approximation of the total cost to complete the project. When undertaken at an early stage, a Budget Cost Estimate can ensure that project costs are kept in-line with the client’s budget, and it can result in better value-for-money in both the design & construction process. Having a Budget Cost Assessment prepared by a Chartered Building Surveyor can ultimately identify the viability of a project – before the client spends time and significant money on professional fees. Overspending on building projects is not uncommon. However, in some cases, and especially where a large amount of finance has already been secured, a significant overspend could jeopardise the completion of the project. Where an estimated project cost can be identified at an early stage, clients are at least armed with the knowledge and therefore have a number of options before them. This could be to arrange alternative methods of funding well in advance, ditch the project altogether and not pursue it because it is too costly, or re-design and scale-back the project to ensure that it fits within the budget. Besides construction costs, Budget Cost Estimates can identify and include allowances for ancillary costs that a client might not automatically consider. These include: professional fees for design, other consultants’ charges such as structural engineer’s fees, allowances for asbestos surveys/removal, incoming mains services connections, Building Regulations charges, Planning Application fees, CDM Regulations, VAT, etc. Budget Cost Estimates can be prepared based upon initial sketches through to detailed proposals, with the more accurate estimates calculated when more information has been provided such as Specifications and Drawings. 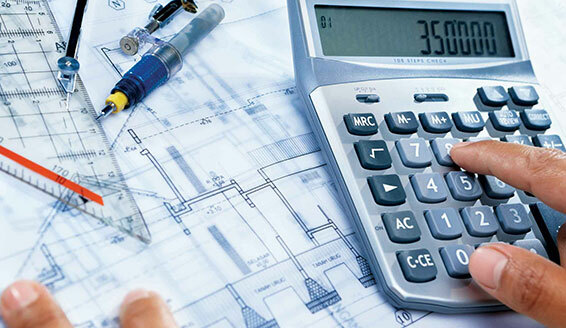 If an estimate can be prepared early, before the project undergoes detailed design and before the project is tendered to contractors, a Budget Cost Estimate can give a good assessment of likely overall costs from the very outset. This can help the client to keep a close reign on project costs and also ensure that a project is designed accordingly, in order to keep it within the client’s financial constraints. For certain types of building works, especially those where money/funding grants is being applied for – e.g. for schools and academies seeking funding for a particular project, a Budget Cost Estimate is often essential. In these cases, a Budget Cost Estimate must be prepared by a professional consultant such as a Chartered Building Surveyor. Budget Cost Estimates can prove invaluable to the successful outcome of large building projects. For more information or to instruct our services, please get in touch with our team of Chartered Building Surveyors. In addition to Budget Cost Estimates, we can provide an outline Programme of Works so that the client can plan time accordingly and knows how long to expect for the overall design process and construction project. We can also give our professional view on the likely risks, suitable procurement strategy and areas that may provide added value to the project.